Could we be over-promoting the importance of soft skills to young people at the expense of helping them understand the relevance of other, "harder" skills? According to a recent survey, just over half of teens (52 percent) said they believe have a good understanding of the skills they need to be successful after high school. Yet, what they ranked at the top of the list were all soft skills: self-confidence, communication, leadership and teamwork. The skills that ranked least important were computer expertise, writing, typing and math. However, most teens also said that based on their personal experiences, they'd advise younger kids to learn more about science, technology, engineering and math. The survey was performed in November 2018 and commissioned by the Boys & Girls Clubs of America and Comcast NBCUniversal. According to the former, its 4,400 clubs serve four million young people in cities, towns, public housing, on Native lands and military facilities. A current area of emphasis for the organization is to help bridge the "digital divide" in these communities. Almost 60 percent of teens said they enjoy technology, and the majority stated that they consider themselves "really good" at math and science; but only 33 percent expressed interest in pursuing a career in STEM. Just about a third of teens (37 percent) said their career goals involve STEM; while projections vary, industry reports have suggested that four in five future jobs will require STEM skills. The most frequently referenced careers that respondents said they'd be interested in after graduation were: healthcare (mentioned by 19 percent), STEM (16 percent), business (12 percent) and a creative job, including entertainment (10 percent). The survey found that most teens (64 percent) didn't believe they were involved in any STEM programs. The number one reason: Their schools don't offer them, mentioned by 33 percent. And less than half of teens said they think that women, minorities and low-income students have the same access to STEM education, resources and jobs when compared to the general population. Less than half of teens (48 percent) also said their school teaches them about different career paths. Most stated that they would be interested in job-related information and would be more confident in their future if they had it. 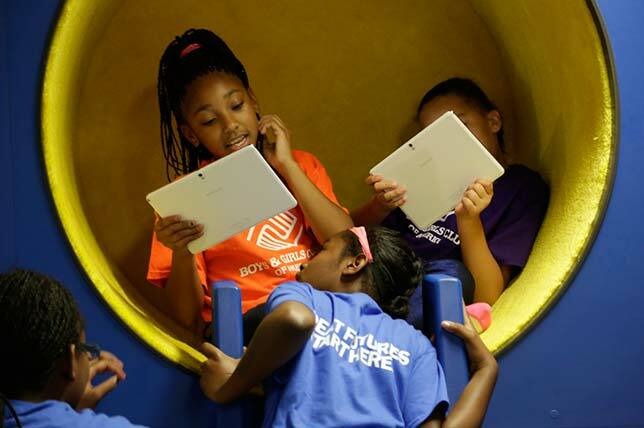 "The world we live in runs on technology, and digital skills are essential for any future career," said Jim Clark, president and CEO of Boys & Girls Clubs of America, in a statement. "Thanks to our long-time partnership with Comcast NBCUniversal, we're able to help young people in underserved communities prepare for and compete in today and tomorrow's digital workforce." The relationship between Boys & Girls Clubs of America and Comcast includes sponsorship of the My.Future program, which provides digital training through an online platform where club members can interact with each other and share their accomplishments.